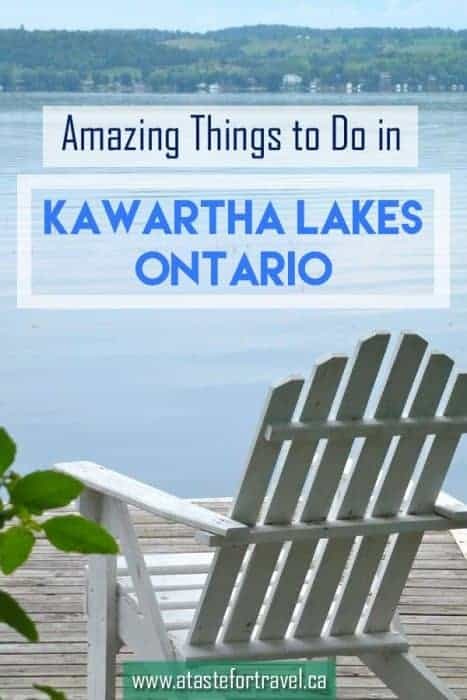 Looking for amazing things to do in Kawartha Lakes this summer? Located east of Toronto, the Kawartha Lakes region of Ontario is a destination with much to offer travellers looking for a weekend getaway filled with beautiful scenery, fine regional cuisine, craft beer and outdoor adventure. This region of mirrored lakes, rivers and waterways is named after an Anishinaabe First Nation word meaning “Land of Shining Waters” and when summer comes, there’s no other place I’d rather be. 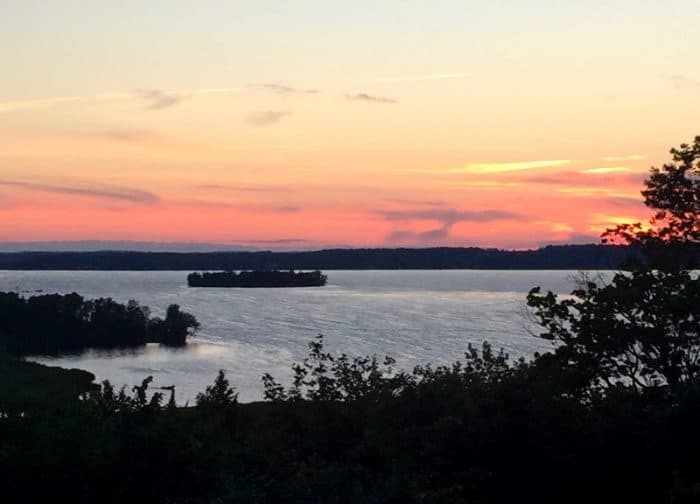 Beyond the sparkling lakes, there are many reasons to plan a summer vacation or weekend getaway at one of the many Kawartha Lakes resorts, parks and cottages. 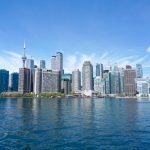 Located a 1.5 hour drive from Toronto, they’re much closer than those in Muskoka, Prince Edward County or Thunder Bay, there’s less highway traffic and there’s lots of artisanal food and drink, unique museums, quirky attractions and fantastic summer festivals to enjoy. While you can easily enjoy plenty of outdoor adventure and have a great time soaking up the region’s unique vibe on a day trip from Toronto, there are so many things to do in the Kawarthas, it’s worth planning to stay a weekend or even a full week. 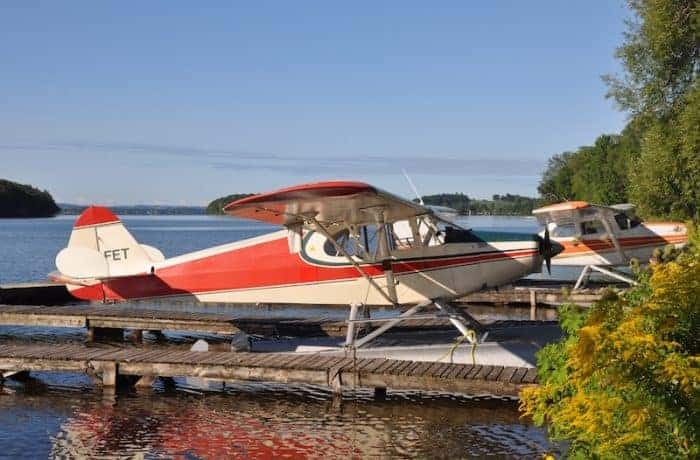 Here’s our pick of the very best things to do in Peterborough and the Kawarthas, the City of Kawartha Lakes as well as around Rice Lake, Ontario, Canada this summer. A sure sign of spring in the Kawarthas is the return of migratory birds. You don’t have to look very hard to see songbirds, birds of prey and water fowl — more than 259 bird species have been recorded in the region. Some of the best birding spots are conveniently located along the cycling and walking trails built on the abandoned railway corridors throughout the Kawarthas. It’s possible to see loons, pelicans, ducks and swans, hawks, eagles, grouse, turkeys, owls, hummingbirds, warblers, finches and more on even a short weekend getaway, so it’s worth installing a Birding App on your mobile device or taking the Peterson Field Guide to Birds of North America (Peterson Field Guides) so you can identify the birds you encounter. 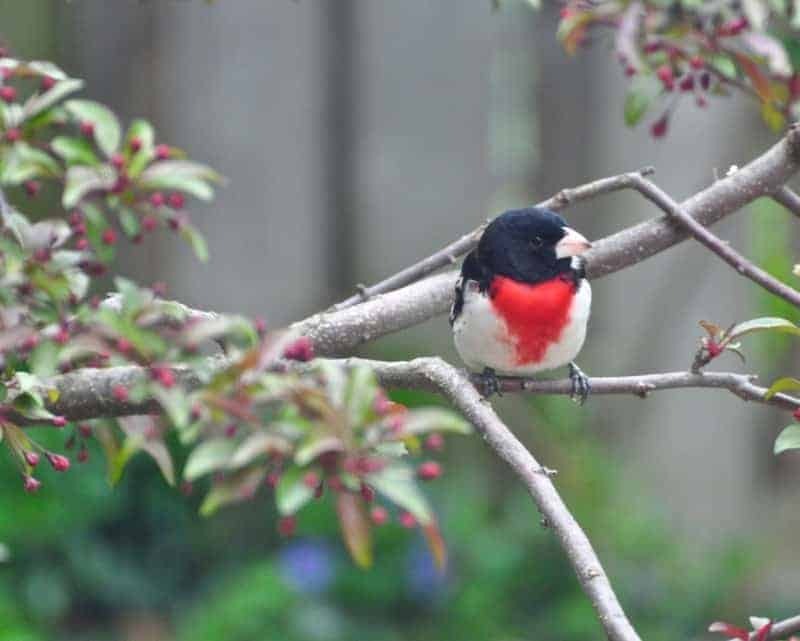 Insider Tip: If you’re a bird lover who’d like to learn more about birds and other wildlife, check out the events and resources offered by the Peterborough Field Naturalists club. This long-established charitable organization offers a range of activities such as guided Sunday Morning Wildlife Walks, field trips, pollinator garden tours and mushroom foraging workshops. Between dodging clouds of butterflies, wild turkeys, and turtles pedaling a bicycle along the Trans Canada Trail in Lindsay, Ontario feels a lot like navigating a wilderness agility course. That’s a good thing. Cycling away from the crowds is one of the top things to do in the Kawartha Lakes. This stretch of secluded pathways, built on a former railway bed slicing through the Kawarthas Northumberland region in a network of dedicated trails stretching from Fenelon Falls to Rice Lake, features more wildlife than people. 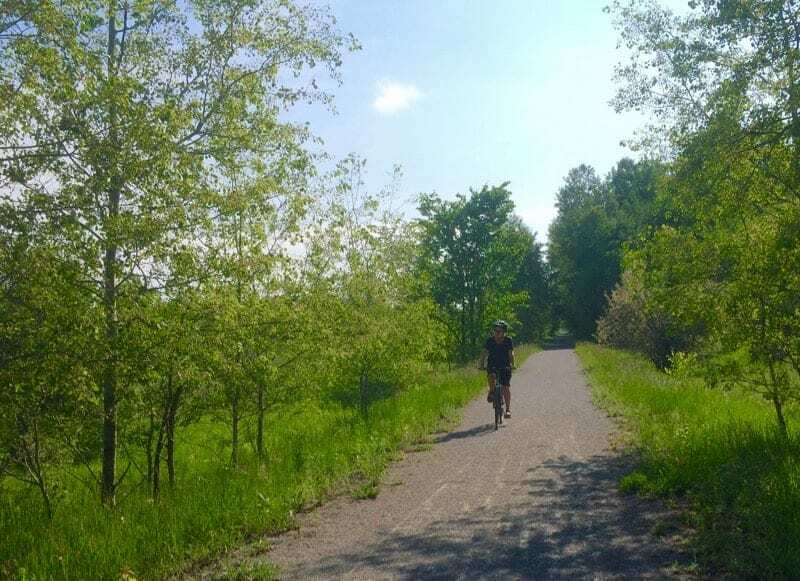 The Ganaraska Trail, Kawartha Trans Canada Trail and the Victoria Rail Trail Corridor are part of 300+ kilometres of signed cycling routes and network of dedicated trails in the Kawartha Lakes area. Yet it’s just over an hour from Toronto. If you decide to stay overnight, The Days Inn & Suites Lindsay (in addition to being a certified bike-friendly hotel with storage lockers) is located directly across the road from an access point to the cycling trails. It offers the added bonuses of featuring Old Flame craft beer on the room service menu, complimentary breakfast, free parking and an indoor swimming pool. Although I was disappointed to learn the Youngtown Museum dedicated to musician Neil Young (he grew up in nearby Omemee) permanently closed in September 2017, it’s still worthwhile to visit the Olde Gaol Museum of Lindsay. Operated by the Kawartha Lakes Historical Society, the Olde Gaol Museum is located within the former Victoria County Jail, an imposing stone building located in the heart of town. While the historical displays are interesting records of early life in the region, the most evocative exhibits are behind the bars of the former prison cells. 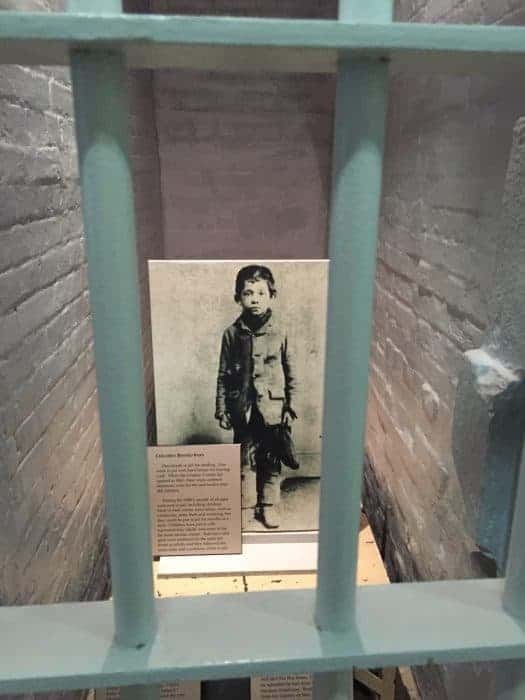 Here, you’ll learn about children as young as 10 years old who served jail time with hard labour for petty theft, as well as Fred McGaughey, the last man to hang in Lindsay. He was hanged on December 5, 1924 for the May 25, 1924 murder of young Beatrice Fee, a remarkably quick trial, sentencing and execution. Admission is free for children under the age of 12, adults are $5 and seniors $3 – quite a bargain! Random Fact: In December 2017, Neil Young returned home to Canada to perform at an invitation-only concert in Omemee, so who knows you may be lucky enough to bump into him during your visit to the Kawartha Lakes. Food fans won’t want to miss the Kawarthas Northumberland Butter Tart Tour, a collection of more than 50 tasty stops. Download a free Butter Tart Tour Map and get exploring Ontario’s largest butter tart trail. 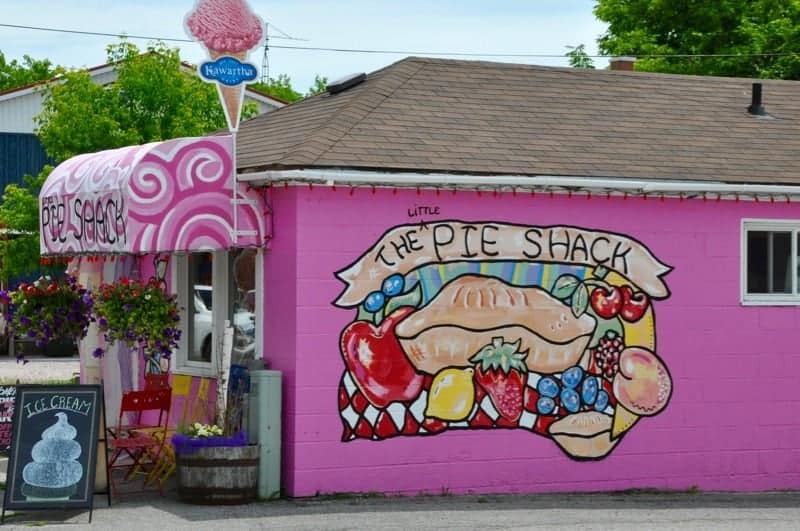 The Little Pie Shack, in Fenelon Falls, offers a soft and flaky raisin butter tart that’s arguably one of the tour’s gooey best. Another of my favourite places for butter tarts is the aptly-named Buttertarts ‘N More located on the outskirts of Lindsay at 1535 Highway 7. They’re serious about their butter tarts here — you can get them plain, with raisins or pecans. Insider Tip: Buttertarts ‘N More closes at 3 pm weekdays so arrive early to get your butter tarts. 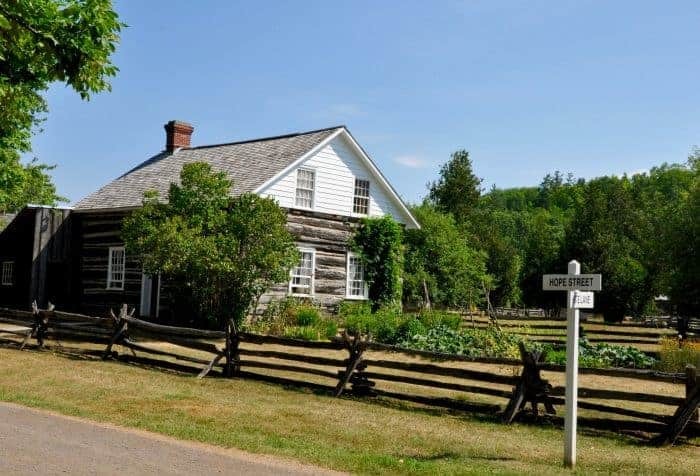 A great spot to begin your summer vacation in the Kawarthas is by exploring its past. Settlement in the Peterborough & Kawartha Lakes area began in the 1800s with the arrival of immigrants from England, Ireland and Scotland. Villages sprung up beside rivers where water was used to power the mills that ground grain into flour. The Lang Pioneer Village Museum located beside the Indian River in the hamlet of Lang, is a recreation of one of those early settlements. To create this open-air museum, historic buildings from the 1800s were rescued from across Ontario and relocated to the site. Today, this collection of restored and furnished heritage buildings includes an agriculture barn, blacksmith shop, a log school, a white clapboard Methodist church, the Lang Grist Mill and the Keene Hotel. 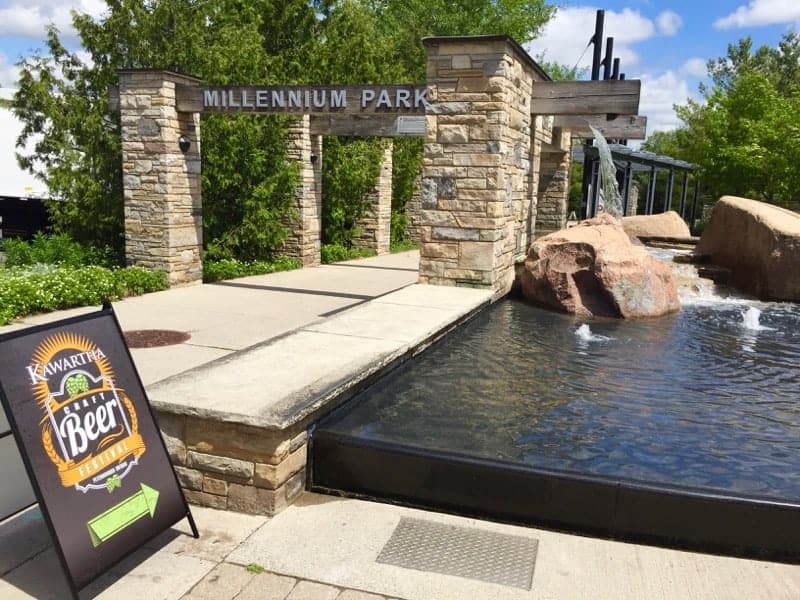 Insider Tip: With its leafy, riverside setting Lang Pioneer Village Museum is such a pretty spot, it’s popular for weddings, family and engagement photos. They can even arrange an onsite Family Photo Session with a professional photographer for $295 plus tax. You’ll receive a CD of your keepsake images for editing and printing. Once voted by Harrowsmith magazine as one of Canada’s top 10 prettiest towns, the village of Keene is lined with quaint shops, art galleries and a profusion of flower baskets. 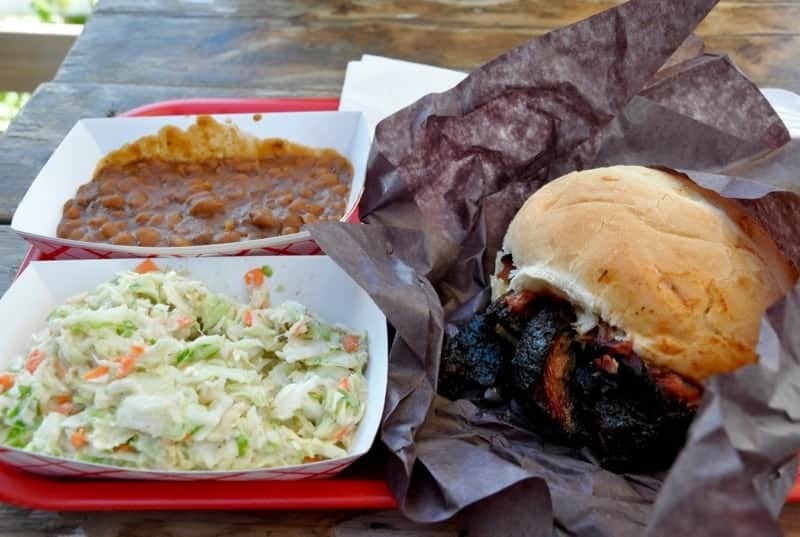 When it comes to authentic country eats, Muddy’s Pit BBQ is a Keene institution. The specialty here is slow-cooked Carolina-style pork back ribs, beef brisket and pulled pork. The meats are slow-roasted a minimum of eight hours over hardwood maple, which means they’re fall-off- the-bone tender. Baked beans, side salads and desserts are made fresh daily. Grab a seat at the picnic table or get an order to go and enjoy the best barbecue north of the Carolinas. Plan ahead and you can even enjoy some live music. Insiders Tip: Watch Muddy’s Facebook Page for news of the summer’s best BBQ competition event. This tasty show-down is happening in Keene on August 18th from 11:00 am to 7:00 pm. It’s also possible to sample the region’s artisanal ingredients at select fine dining restaurants on Lindsay’s historic Kent Street. 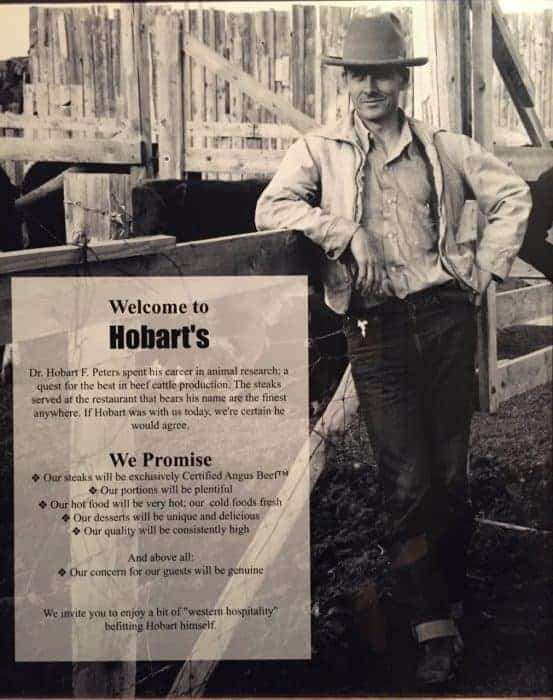 A top spot for Angus beef is Hobart’s Steakhouse, named for Dr. Hobart F. Peters, a leading animal research expert in the field of beef cattle production. Just a few doors away is Pane Vino, a wine bar featuring Italian cuisine with local ingredients such as heirloom beets and grass-fed beef sourced from centuries-old farmlands. 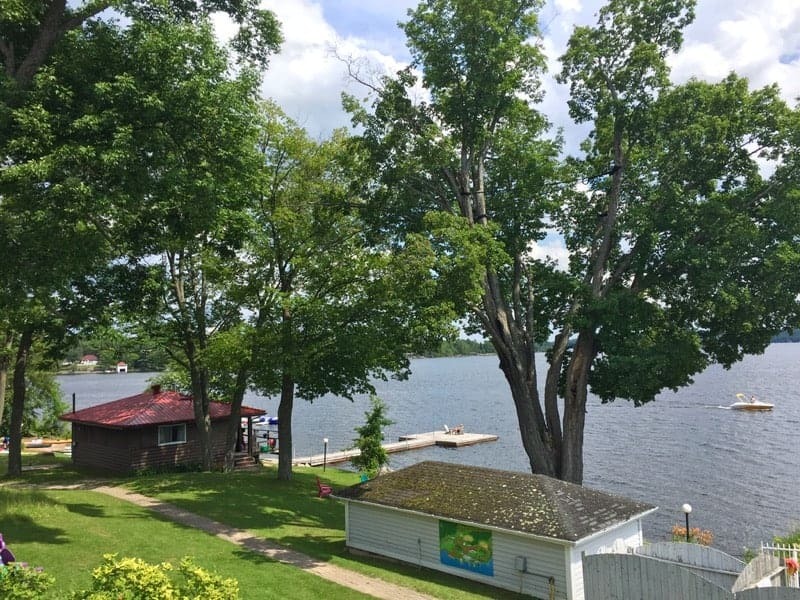 You’ll find plenty of outdoor adventure at Elmhirst’s Resort, the heart and soul of lakeside vacationing on the north shore of Rice Lake. Located on a parcel of land originally granted to the Elmhirst family in 1818 by King George IV of England, the site has evolved from its farmland beginnings to become a thriving all-season resort. 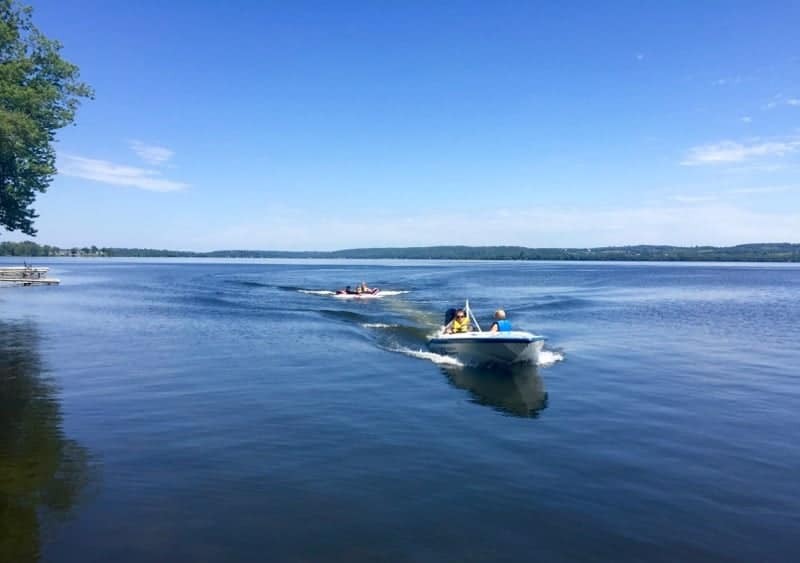 Still family-owned and operated, it offers fine dining, the fun Wild Blue Yonder pub, comfortable cabins, a full-service spa, horseback riding and all the water sports such as tubing, canoeing and kayaking needed to make a perfect summer. Interested in doing some Rice Lake fishing? 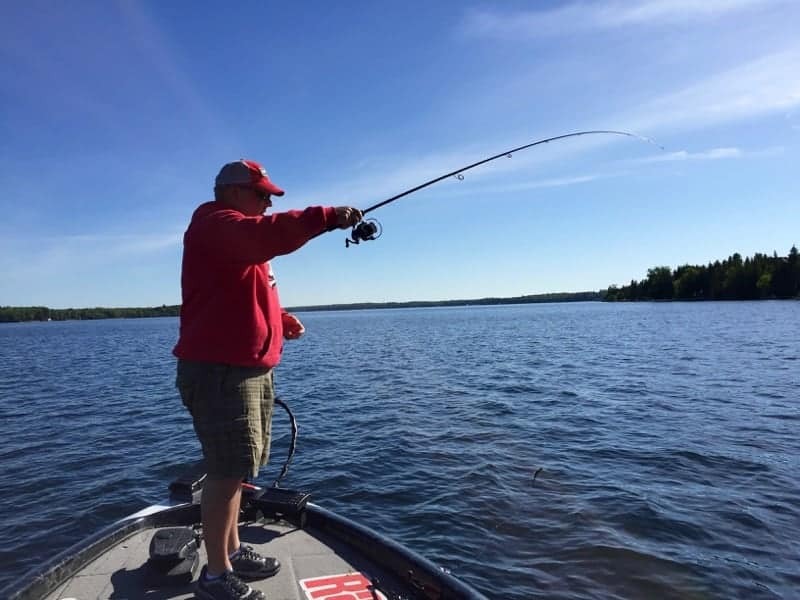 Angling is one of the top things to do in the Kawarthas. Rentals are available for those who want to enjoy the sports fishing Rice Lake is famous for or you can fish right from the dock. You can also go flight-seeing in a 1947 Piper Cub bush plane. RELATED: Read more about the Kawarthas in my Ultimate Weekend Getaway article in The Globe and Mail. A popular day trip from Toronto for foodies is Sunday Brunch at Elmhirst’s Hearthside Dining Room where you can enjoy a locally-inspired menu including hard-carved Black Angus Beef from the resort’s own herd, a seafood buffet and house-made dessert pastries while taking in views of the pretty shoreline and the panorama of maple, oak, ash and black cherry trees. An underground wine cellar features premium VQA wines; private tastings can be booked for groups of 4 to 12. 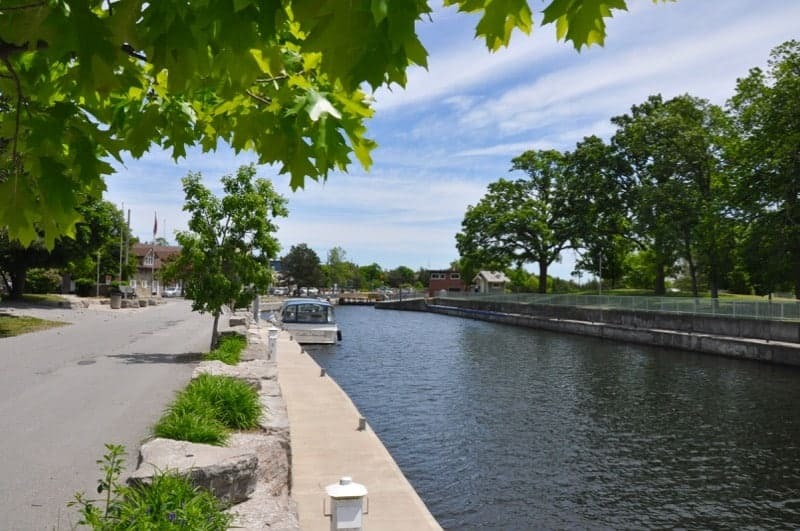 No trip to the Kawartha Lakes would be complete without spending time exploring the Trent-Severn Waterway, a National Historic Site of Canada and a 386 kilometre long canal route connecting Lake Ontario to Georgian Bay. Boating enthusiasts can actually navigate their way through the system of 44 locks as the waterway meanders it way through cottage country past villages, swinging bridges, dams and control structures. One of the top things to do in the Kawarthas is to watch the boats as they enter the locks, witness the water rising and see the boats pass through the locks. Food fans will enjoy Under Water Dining at Lock 21 in Peterborough, the world’s highest hydraulic lift lock. Tickets for this unique dining experience have historically sold out the same day they went on sale so sign up for the newsletter at Peterborough and the Kawarthas Tourism and be the first to hear about future events. Bucket List Experience: A unique way to explore the Trent-Severn Waterway is on an Egan Houseboat Rental, a wilderness experience featuring all the comforts of a floating cottage. Swim, meet new friends and explore the thousands of lakes, bays and rivers of the Kawartha Lakes. What to Eat: Don’t miss sampling a Moose Tracks cone from the Kawartha Dairy Company, serving creamy old-fashioned ice-cream that’s been a cottage-country tradition for 80 years. An ice-cream stop is definitely one of the top things to do in the Kawarthas. You’re sure to work up a thirst while cycling or exploring the Kawarthas so cool off with one of the local craft beers from Bobcaygeon Brewing, Smithavens Brewing Company, Publican House, Manantler and a growing number of other craft breweries. You can sample many of these brews at the Kawartha Craft Beer Festival held annually on the waterfront at Millenium Park in the City of Peterborough. In 2018, it’s happening on June 8 to 9th (Friday night and all-day Saturday). Insider Tip: Did you know you can get new, seasonal and other delicious Ontario craft beer delivered straight to your door? Check out this handy service made for craft beer lovers at the Beer Box Company. If you’re trying to decide on where to go on your weekend getaway from Toronto, you won’t be disappointed with Stoney Lake. It’s one of the prettiest of the lakes in the Kawartha Lakes region and there’s nothing quite as magical as waking up in the morning, taking a cup of steaming coffee (or a glass of wine in the evening) out to the front porch and listening to loons calling across the water. You can experience all this and more at the historic Viamede Resort in Woodview Ontario, around two hours from Toronto, set among tall pines and dense forest. There are several types of accommodation choices from at Viamede Resort — from hotel rooms to cottages with full kitchens. 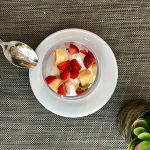 A buffet breakfast is included with each overnight stay and there are several restaurants onsite so you can even rent a cottage yet not have to cook. Fascinating Fact: Viamede Resort is just a 15 minute drive to Petroglyphs Park, home to a sacred site that’s the largest known collection of indigenous rock carvings in Canada. Tip: Try our recipe for classic Balsamic and Beer Steak Marinade on your cottage BBQ grill at Viamede. Ever wondered what cattails, birch aioli or spruce broth taste like? Discover these beguiling tastes of the Kawarthas at Mount Julian, a 9-table restaurant located within Viamede Resort overlooking Stoney Lake. Every dish on the 5, 7 and 9 course tasting menus features local ingredients carefully selected from Viamede’s onsite farm, foraged from still-wild Kawartha Lakes forests or produced by local producers. Chef Jay Nutt’s inventive dishes can also be paired with VQA wines ( most sourced from Prince Edward County) and local craft beers. 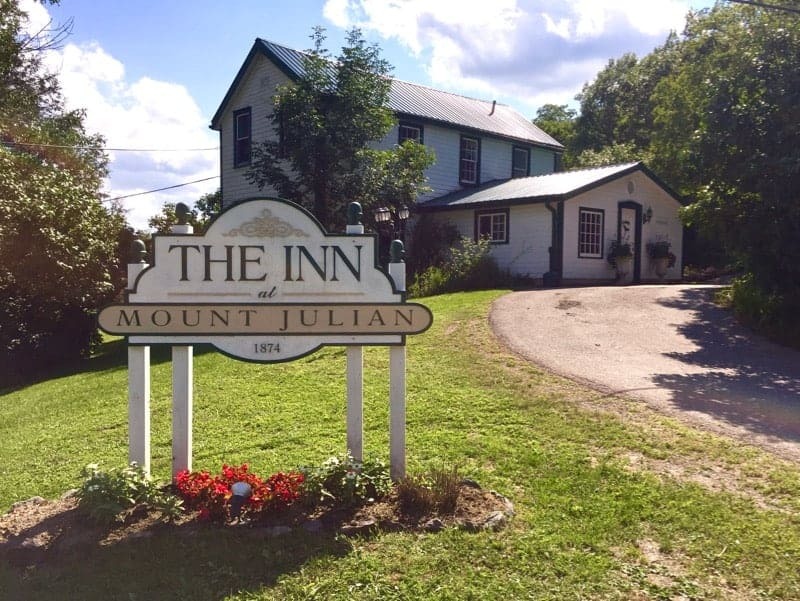 The Inn at Mount Julian was built in 1874 so as night falls and the candle light on the tables begins to glow, you’ll feel transported to another more gracious, elegant era. You’ll need to make reservations to dine here and it’s pitch black at night ( unless you count the fireflies) so it’s best to stay the night at Viamede Resort, just steps away. Check out their packages to get a deal on a room, dinner and farm tour (May to October). 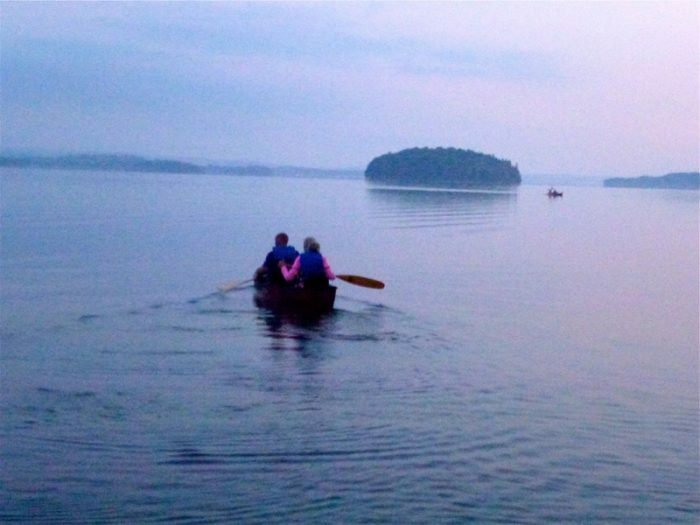 Another quintessential Kawartha Lakes experience includes paddling the Canadian Canoe Route (CCR) connecting Toronto with Ottawa, a route forged by First Nations, fur traders and explorers. Learn more about the history and culture of canoeing at the Canadian Canoe Museum in Peterborough. In the summer, you can even participate in a Voyageur Canoe Paddling Experience and paddle a 36-foot Montreal canoe through the Peterborough Lift Lock with a guide. Insiders Tip: Admission to the Canadian Canoe Museum is free on Thursday nights from 5 to 8 pm (adult admission is usually $12 so this is a great opportunity). 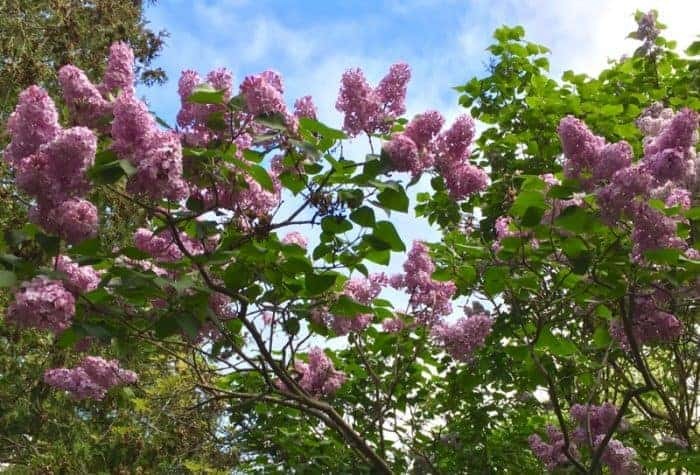 One of the most popular things to do in the Kawarthas area in July is to spend a morning or afternoon at the Laveanne Lavender Farm located near Campbellcroft between Port Hope and Peterborough. This expansive farm is not only home to an incredibly fragrant field of lavender in full bloom, but it also offers a lavender labyrinth. This unique creation is 30 meters in diameter and features walking paths ideal for meditation and relaxation. Walking the spiral paths and breathing in the sweet and therapeutic lavender scent, you’ll be sure to feel any stresses you have melt away. There’s much more to do than walk the lavender labyrinth though. 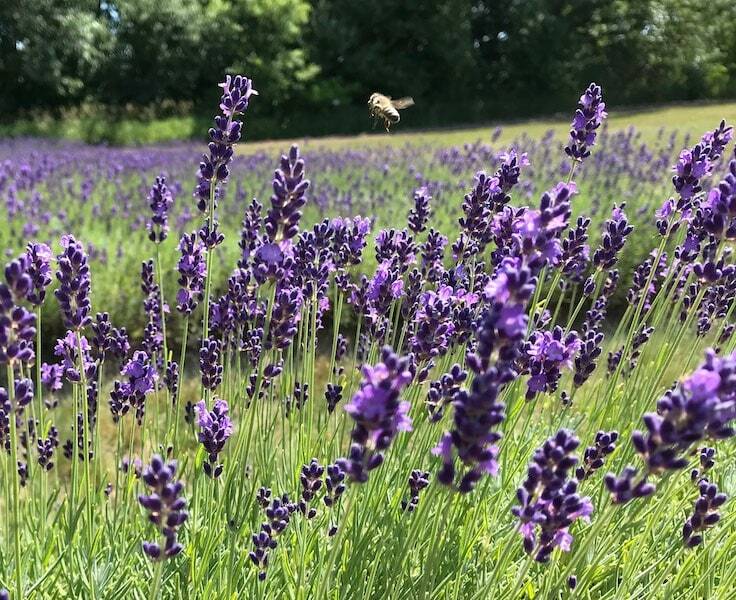 In July — known as Blossom Month–Laveanne Lavender Farm also hosts yoga classes, wreath-making workshops and seminars on growing, harvesting and using lavender plants. An outdoor bistro and gift shop packed with lavender goodies– from honey to soap –round out the offerings at this destination. All of their body products are pure and contain no parabens, sulfates, phthalates, artificial fragrances/colours or other artificial additives. Admission is free so please support their operation by making a purchase during your visit. Check the lavender bloom calendar on their website before you go. The gift shop is open daily May 1st to October 31st (and abbreviated hours up to Christmas) so it’s worth including the Laveanne boutique on your next day trip from Toronto. If you missed the lavender fields blooming in Ontario and it’s not in the budget to travel to Provence, you can also head south to the lavender fields in the USA to visit one of the many beautiful lavender farms there. When a venomous copperhead snake was spotted on the loose in Ajax’s Greenwood Conservation Area in 2016, authorities called experts at the Indian River Reptile Zoo to track it down. This registered not-for-profit registered charity is home to more than 400 snakes, turtles and lizards, many of them rescued, abandoned by their owners or smuggled endangered animals seized by authorities. 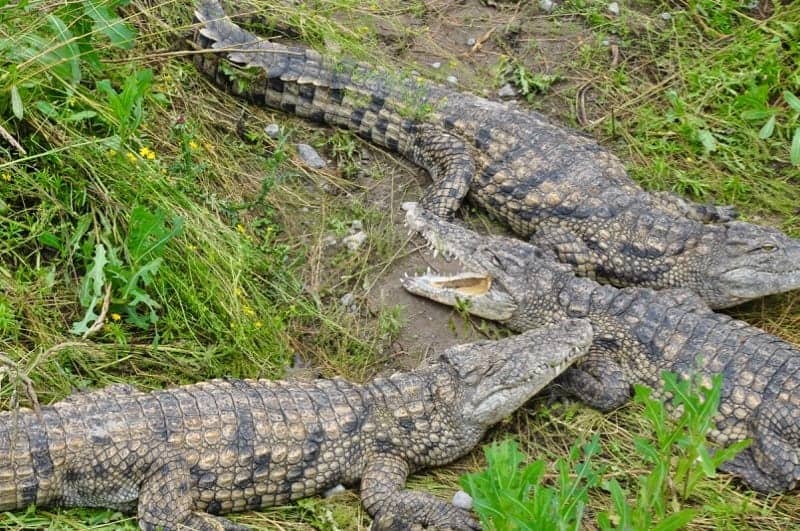 In addition to seeing pythons and other rare snakes within the climate controlled educational centre, visitors can also do a croc-walk past ponds filled with various species of crocodiles and enjoy a range of outdoor amusement park attractions such as life-sized Tyrannosaurus-Rex and other robotic dinosaurs, a Giant Gator waterslide and a Bone Yard sandbox where tots can dig for “dinosaur” bones. Insider Tip: Get a $3.00 off coupon for one person on the Indian River Reptile Zoo website. Growing up in Flin Flon, Manitoba fishing for northern pike or pickerel was always a big part of our summer adventures. Whether it’s shore fishing or fishing from a boat, fishing in the Kawarthas offers many of the same challenges, excitement and enjoyment. It’s always great to spend a day on the water in Canada surrounded by beauty (although I’m grateful there are fewer ferocious horseflies in Ontario than there were in Northern Manitoba). Balsam Lake fishing is some of the best in Ontario. Located at the highest point of the Trent-Severn waterway, it’s home to the villages of Coboconk and Rosedale. Although best known for its smallmouth and largemouth bass but it’s also got walleye (pickerel), muskie, perch which makes it one of the best fishing lakes in Ontario. Balsam Lake Provincial Park is also located on Balsam Lake and features a sandy beach, canoe, kayak and paddleboat rentals as well as boating on the Trent-Severn Waterway. Check with Ontario Parks to book a campsite or find out about the Learn to Fish program, a free introduction to fishing that includes one hour of supervised hands-on fishing. Insider Tip: Borrow fishing equipment at no cost from OFAH TackleShare at 140 Loaner Sites at Ontario Parks, public libraries, conservation authorities and other community organizations. Did you know that donkeys make excellent guard animals? Many farms across Ontario, Australia and the USA use donkeys to protect their flocks of sheep from predators such as coyotes, wolves and dogs. A donkey’s herding instinct and natural hatred of dogs make them effective guard animals. How do they protect a flock of sheep? They patrol the herd diligently, braying loudly and kicking their front hooves should a predator attack. 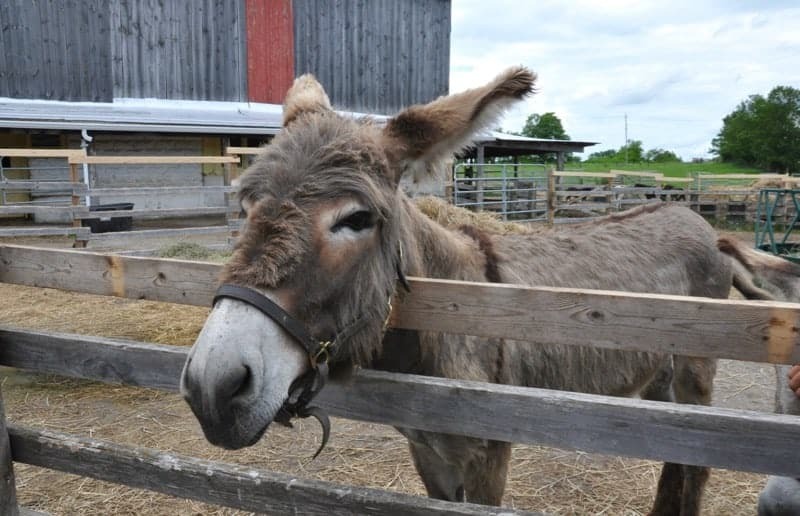 Grab your barn boots and learn more fascinating facts about donkeys at the PrimRose Donkey Sanctuary in Roseneath, Ontario located southwest of Rice Lake. This not-for-profit organization rescues mistreated and neglected donkeys, mules, miniature horses, goats, pot-bellied pigs and other animals, providing them with veterinary care, food and safety within its charming collection of indoor stables, outdoor pastures and corrals. Founder Sheila Burns deserves an award for her open heart and open door policy that turns away no animal. The public can visit Primrose Donkey Sanctuary on Sundays and Thursdays between 1-4 PM and get a free tour of the sanctuary and even pet the animals. Be sure to make a donation to help support this worthy cause! Special events (such as Desserts and Tea on June 24) also take place throughout the year. While you may not discover why donkeys dislike dogs, you’ll definitely come away with an appreciation for these sociable and endearing farm animals. Where to Stay: The closest hotel is Golden Beach Resort on the south shore of Rice Lake. Although the beach here is tiny and rather muddy for swimming, the sunsets are fantastic. Plus you can rent boats to go fishing. There’s also a handy kid’s club, an outdoor swimming pool and a restaurant with a patio. Sundays from the Victoria Day long weekend to Thanksgiving are a special time to visit the fairgrounds in the town of Roseneath Ontario. That’s when it’s possible to ride one of the world’s most charming and well restored carousels. Built in 1906 by the Charles Wallace (C.W.) Parker Carousel Company in Kansas, this impressive antique carousel features 40 hand-carved and rideable basswood horses and two boats. A 1934 Wurlitzer Band Organ plays music while the merry-go-round spins. C. W. Parker was born in 1864 in Griggsville, Illinois. Known as the “Amusement King”, his career in the entertainment business began with the purchase of a shooting gallery and by 1892 he had constructed his first carousel. His company went on to produce carousels in the County Fair style, which meant they were meant to travel around North America, rather than stay stationary such as those in amusement parks and seaside resorts such as Coney Island. Unlike other carousels that featured a menagerie of carved animals such as swans, frogs and monkeys, the C.W Parker Company’s carousels featured horses. But these are horses of exceptionally fine quality. The carousel features three rows of horses. On the inner and outer rows, Parker Jumper Horses dance and prance. Their manes and curved sinewy necks make them appear ready to take flight as the carousel spins round. It took up to 40 hours of labour to carve each one by hand. Kudos to the Roseneath Agricultural Society for restoring the Roseneath Carousel with such care. Only four of this type of carousel were built in 1906 and the Roseneath Carousel is the only one still in existence in North America. Master carver Konstantin von Waldburg stripped seven coats of paint down to the base coat and ordered the exact pigment of original paint from Europe. Shop for locally grown wild rice, raw honey, hand-crafted beadwork, carvings and other made-in-Canada products at The Gathering Place gift shop in Roseneath. 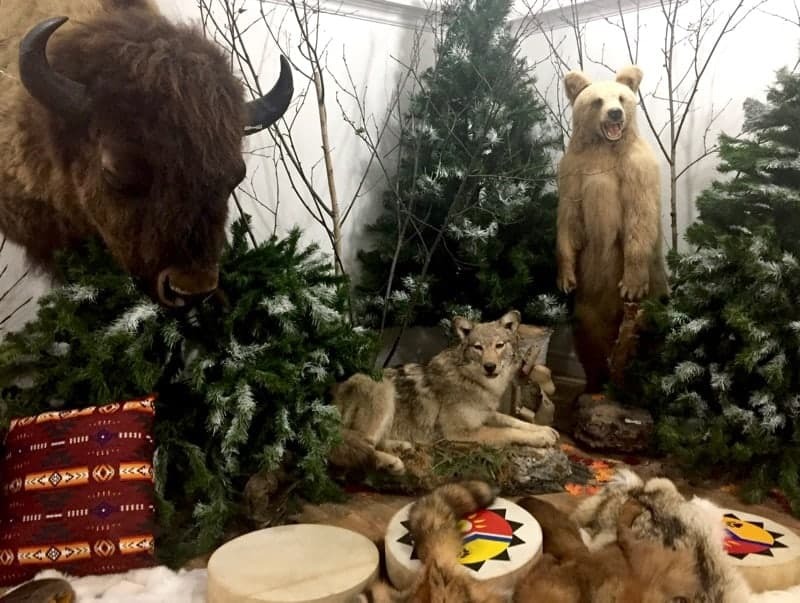 Much more than a gift shop, it’s a fascinating introduction into First Nation culture and local traditions. Proprietors Randy and Sandy Smoke are very helpful if you’re thinking of buying moccasins or wondering how to cook wild rice, cranberries or other local products. They have a wide selection of handmade moccasins in a variety of styles and leathers including cowhide, suede or deerskin. Just steps away is the Medicine Wheel Natural Healing Centre, operated by Alderville First Nation, a tribal band of the Mississaugas, a sub-nation of the Ojibways. This shop specializes in the use of cannabis products such as syrups, edibles and tinctures to treat medical ailments. 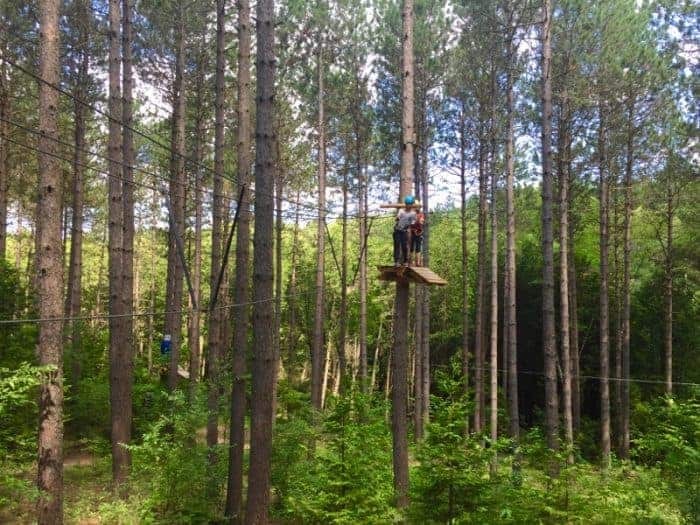 If you’re ready for high-altitude adventure, spend a half-day exploring the forest canopy on a guided aerial tour at Treetop Trekking activity centre within the Ganaraska Forest Centre. While not officially in the Kawartha Lakes region, it’s very easy to get to from Peterborough. You’ll traverse an agility course that features ziplines, log bridges, monkey cables, Tarzan swings and Timberwolf, the most challenging aerial course in Ontario. Insider Tip: Save $10 on Sundays in May and June on Zip Line and Aerial Game Treks! Visit Treetop Trekking Specials for the promo code and news on special events. While it’s no longer possible to rent inner tubes from Kawartha Travel and Paddle to go river tubing in the Kawarthas, adventure-lovers have a DIY option. Just bring your own inner tube and life jacket to enjoy a lazy ride down the Mississauga River near Buckhorn. There is an access point near Kawartha Highlands Provincial Park off Highway 36. Just wear water shoes and be sure to get out before you hit the rapids. When water levels are high it can be quite a rush! Phew! That’s a lot of amazing things to do! Are there any outdoor adventures, restaurants, beaches or resorts you love in the Kawartha Lakes, Peterborough or Rice Lake area? Any must-try experiences we’ve missed? Let us know in the comments section below! Disclosure: This post contains affiliate links. Please read more on our Disclosure Page. Getting to the Kawartha Lakes: The easiest way to get to Peterborough and the Kawarthas is via Highways 35 and 115 north of the 401 past Bowmanville. You can also get to Lindsay and the City of the Kawartha Lakes via Highway #7 north of Toronto. Another option if you’re headed to the south shore of Rice Lake is to take Highway 28 or 18 north at Port Hope. If you work up an appetite exploring Peterborough and the Kawarthas, just stop at one of the Farmer’s Markets and stock up on fresh, local Ontario produce and goods. The Peterborough Farmers Market is one of the oldest markets in Ontario and is open year round. You had me at birds and butter tarts! but less highway traffic is a huge bonus. I’ve heard the brunch at Elmhirst’s is worth the drive. I’d love to get out to the Kawarthas this summer—thanks for this useful guide. Great guide! There is so much more to do in this area than I realized. Of course, relaxing and taking in the sunset seems perfect. I would definitely have to take the butter tart tour and do some personal research on that! Thx for this comprehensive guide to the Kawarthas. It’s such a lovely region. Would love to visit the PrimRose Donkey Sanctuary in Roseneath. 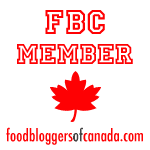 Great article, now I’m craving butter tarts! I would really like to see the donkey sanctuary as well. That’s wonderful they rescue donkeys in need. I’ve heard Viamede is lovely and relaxing but didn’t realize it was so near the Petroglyph Park. Great vacation ideas! I will add the Kawarthas to my summer plans. I really loved the Kawarthas when I visited a few years back. 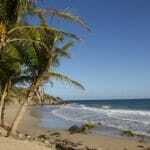 It’s a great destination for families or anyone who loves to be active and outdoors. Ohhh and do a wine Tasting in Bailieboro @RollingGrape vineyard. Opening this June 2018! A wine tasting sounds fantastic. Thanks for the heads-up on Rolling Grape vineyard! It sounds as though you need to make a visit to the Kawarthas, Lydia! Many people commute from Lindsay to Toronto daily so it’s definitely doable on a day trip and I’ve easily taken my parents for lunch at Elmhirst’s for the day. Weekend traffic can be a challenge though so try to time your travels for off-peak times.